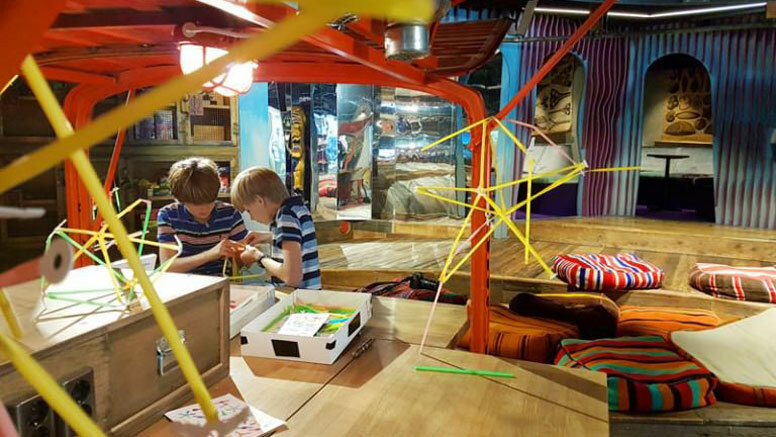 In all its many guises, a makerspace is essentially a place for collaborative and creative learning. Kate Lomax of Artefacto guides you through the maze. It’s become hard to avoid talk of makerspaces in libraries. Since the first library makerspace opened in a library (arguably The Edge at the State Library of Queensland in 2010) library makerspaces have continued to appear and to evolve. Makerspaces aren’t an easy thing to define – but in their many different guises, makerspaces are places for collaborative and creative learning. And while this is often enabled and enhanced by emerging technologies, how these are incorporated into the space varies widely. To add further complication, you might also encounter makerspaces by other names such as fab labs, hackerspaces, idea labs and more. First, why have makerspaces found such an affinity with libraries? For one, libraries play a pivotal role in supporting and promoting digital literacy in their communities. But the goalposts of digital literacy continue to move. In order to support our users and our communities in participating in an increasingly digital world, we need to be able to support them in accessing and engaging with emerging technologies. A makerspace can be a great innovative and welcoming way for users of all ages to learn how to confidently, safely and creatively use digital tools and resources. A shift away from physical collections has also freed up library spaces. As a result, libraries are also playing an increasing role as a place of creativity in the community. Access and knowledge sharing have always been at the heart of libraries and these two things are also a key part of any makerspaces. Makerspaces often get talked about as a single definitive thing but in reality they come in lots of different shapes and sizes. Now, these categories listed below aren’t definitive and libraries often might combine approaches or evolve their approach over time. But it helps demonstrate some of the different ways you can implement a makerspace in the library. The most common type of maker space is in the form of a permanent, dedicated space. This space may be open to all during library hours, by appointment or available only to members. The City Library of Cologne’s makerspace is a permanent space on the 4th floor of the main library. The makerspace here is a natural extension of the public libraries role as a knowledge sharing space and a community education provider. Pop-up makerspaces are an option for libraries that don’t have a permanent space available but want to offer makerspace activities to their users. These kind of makerspaces can be set up when (and where) needed. This means they are also useful for piloting or testing out new services and ideas. The library service in Kent, for example, provides Digital Dens for young people at set times in various libraries throughout the county with their Makercarts, providing valuable access to tools and resources for creative learning. But while access to specific equipment isn’t available around the clock, this doesn’t mean that the creative and active learning ethos for makerspaces isn’t present the rest of the time – in everything from signage to borrowing to staff skills and support. Mobile libraries have long been an important part of library outreach work, ensuring that library services reach those less physically mobile or in more remote communities. This concept has been extended to makerspaces in libraries too. A well-known example is Frysklab, the Fab Lab bus that provides library makerspace services to users throughout Leeuwarden in Friesland in the Netherlands. This mobile makerspace is a Fab Lab, which means it’s part of the Fab Lab Network of makerspaces and has more of a focus on digital fabrication technologies. Makerspaces may also be a joint project between different organisations. For example the makerspace in Guildford is an initiative of the library with support from Surrey County Council, the University of Surrey, iamtheCODE and others. Partner organisations can help provide expertise as well as resources and/or the necessary space. A big part of making your space sustainable is to ensure that you are developing something that meets a need in the community. Why are you building the space and who is it for? An iterative approach is useful here. It gives you lots of opportunities to talk to users, to get feedback and input from the community and to help prevent over-reliance on assumptions about what users want from their library service. So while there are different approaches you can take, an active makerspace will continue to evolve into a shape that works best for your library users.